RhinoRoof U20 is a 7 mil synthetic felt replacement for use under Asphalt Shingles, Synthetic Shingles, Residential Metal Roofing and Cedar Shakes. RhinoRoof U20 is a highly engineered, mechanically attached, coated woven synthetic roofing underlayment for sloped roofs. RhinoRoof's durable and high strength design along with its fiber grip walking surface provides a considerable improvement over asphalt saturated felt. Its fiber grip textured walking surface can also be chalked just like felt. RhinoRoof Granulated Self-adhered Underlayment is designed as a secondary water barrier for use on steep slope roofs (2:12 or greater) under: Asphalt Singles, Synthetic Shingles, Residential Roofing and Cedar Shakes. UDL25 is a 15 mil synthetic roofing underlayment for use under: Metal, Shake & Shingle Roofing. Unlike smooth surfaced underlayments, UDL25 now features our patented slip resistant Sure-Foot® nodular walking surface technology that allows for easier steep slope walkability. UDL30 is a professional grade 25 mil synthetic roofing underlayment for use under all: Metal, Tile, Slate, Synthetic, Ceramic & Shingle roofing. Titanium UDL30 represents the future in felt replacement technology, and used in conjunction with Titanium PSU30 self adhered underlayment, offers the sloped roofing industry a truly revolutionary system of safety, security and simplicity... Two products (UDL30 & PSU30) are ALL your roof needs. PSU30 is a professional grade 45 mil self adhesive synthetic roofing underlayment for protection from wind-driven rain, water, snow & ice dams. Use under all: Metal, Tile, Slate, & Shingle roofing. Titanium PSU30 is the only modified rubberized asphalt Peel & Stick with a tough, rugged surface and a self sealing lap system! UDL50 is a 30 mil synthetic roofing underlayment for use under all premium: Metal, Synthetic, Ceramic, Clay, Slate, Concrete & Shingle roofing. Titanium UDL50 is a highly engineered, mechanically attached, coated woven synthetic roofing underlayment for sloped roofs. Titanium UDL50 is the first product for sloped roofs to address high end primary roofing products with long life warranties such as metal, clay & concrete tiles, slate and heavy weight laminated asphalt shingles. 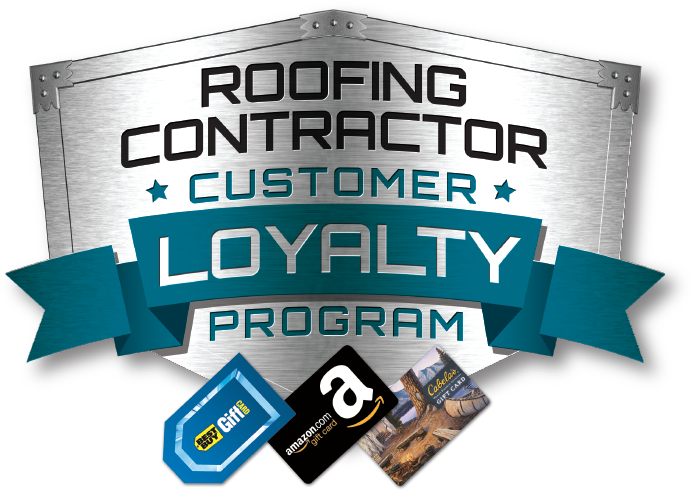 The 2019 Customer Loyalty Program is moving! To learn more and submit invoices for the 2019 Customer Loyalty Program, please visit www.clprewards.com. With a Titanium Signature Roofer you can be assured of the highest quality underlayment installation by one of the industries finest roofers. Turn your next roofing job into a Massive Billboard with a custom Titanium dual logo print from InterWrap! See our trade show schedule for Titanium & RhinoRoof. Come and visit us at our booth and see our latest innovations and promotions! Get in touch with one of our knowledgeable regional roofing managers in your area. Download US and Canadian credit application forms. Available in French for Canadian customers. Roofers rely on it! Read what professional roofing contractors are saying about our underlayments. Upload your testimonial today! See our underlayment in action! Our photo & gallery has a selection of our synthetic roofing underlayments. PSU30 is a professional grade 45 mil self adhesive synthetic underlayment with ice damming protection for use under all: al grade 30 mil synthetic roofing underlayment for use under all: Metal, Synthetic, Ceramic, Clay, Slate, Concrete & Shingle roofing. Titanium PSU30 is the only modified rubberized asphalt Peel & Stick with a tough, rugged surface and a self sealing lap system! 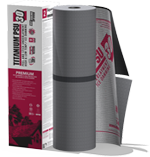 Titanium PSU30 is an advanced, slip resistant synthetic polymer surfaced self-adhered roofing underlayment. It is designed for 2:12 or greater sloped roof applications subject to the effects of ice damming and wind driven rain.